The South Pacific is big place - incredibly vast and blue, covering 11 million square miles stretching from the top of Australia to the Hawaiian Islands. Celebrated by artists and writers, from Paul Gauguin to James Michener, these thousands of tiny coral and volcanic-stone dots are home to fascinating peoples and cultures. 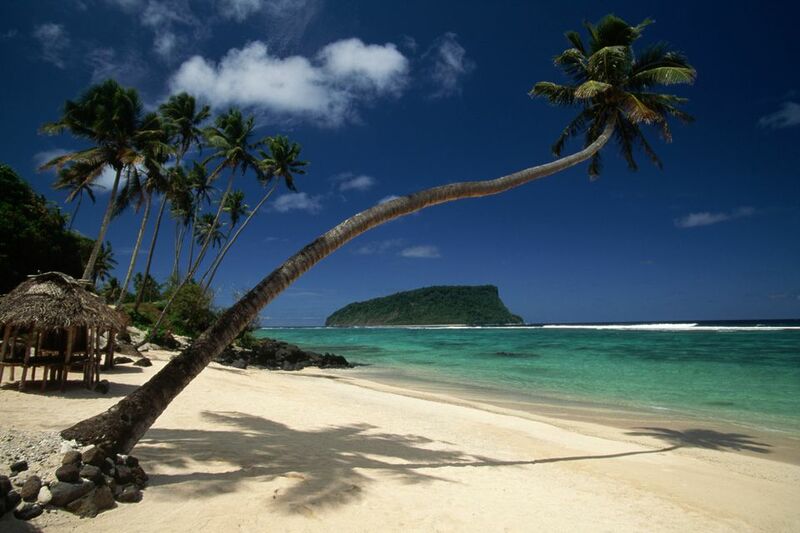 Some islands - such as Tahiti and Fiji - are well known, while others not so much. You get a gold star if you've even heard of Aitutaki or Yap. Tourism infrastructure varies by destination, with some islands linked by daily non-stop flights from Los Angeles and others reachable only by a hodgepodge of connections. Most are welcoming to tourists, some with five-star resorts and a roster of water-based activities, while others feature rustic accommodations and cultures that are a bit more unfamiliar with western ways. Divers flock here not only for the abundance of fish species but also for the pristine coral reefs. While collectively called the South Pacific, these islands are divided into three regions: Polynesia, Melanesia, and Micronesia, each with its own cultural traditions, language variations, and culinary specialties. This easternmost South Pacific region, which includes Hawaii, counts idyllic Tahiti and mysterious Easter Island among its treasures. Its ocean-going settlers, originally from Southeast Asia, are renowned for their navigation, having survived arduous journeys in dugout canoes as early as 1500 B.C. Comprised of 118 islands, the most celebrated of which is Bora Bora, Tahiti is an independent nation with ties to France. With well- developed tourism on a dozen islands, Tahiti has been luring travelers for five decades with overwater bungalows, French-influenced cuisine, and exotic culture. Lesser-known than neighboring Tahiti, these 15 islands, named for English explorer Captain James Cook and run as a self-governing nation with ties to New Zealand, are home to 19,000 people renowned for their drumming and dancing. Tourists generally visit the main island of Rarotonga and small lagoon-caressed Aitutaki. This group of nine islands was the first in the Pacific to gain independence from western occupation. Upolu is the main island and tourism hub, but life here is still governed by Fa'a Samoa (The Samoan Way), where family and elders are respected and its 362 villages are presided over by 18,000 matai (chiefs). Marketed as "Where America's sunsets," this U.S. territory, with its singsong capital Pago Pago (on main island Tutuila), consists of five volcanic islands totaling just 76 square miles and a population of 65,000. Its tropical rainforests and marine sanctuaries are superb. This island kingdom straddles the western side of the International Dateline (Tongans are first to greet the new day) and consists of 176 islands, 52 inhabited. The present king, His Majesty King George Tupou V, has ruled his nation's 102,000 people since 2006, residing in the capital, Nuku'alofa, on the main island Tongatapu. Settled by the Polynesians about 1,500 years ago and discovered by the Dutch (on Easter Sunday in 1722, hence the name), this remote 63-square-mile island is home to about 5,000 people and 800 moai, giant stone statues. Owned by Chile, the island offers rugged beauty and a blend of cultures. These islands, located west of Polynesia and south of Micronesia - among them Fiji and Papua New Guinea - are known for their many ceremonial rituals and customs, elaborate body tattoos and wood-carving techniques. Consisting of 333 islands, this welcoming nation of about 85,000 people - all of whom love to shout their exuberant greeting, "Bula!" every chance they get - is known for its luxurious private-island resorts and superb diving. The main island, Viti Levu, home to the international airport at Nadi, is the hub from which tourists fan out to Vanua Levu and resorts in the pristine Yasawa and Mamanuca islands. This republic of about 221,000 people is three hours by air from Australia. Its 83 islands are mostly mountainous and are home to several active volcanoes. Vanuatans speak 113 languages, but all celebrate life with a series of rituals and events, making it a fascinating spot to visit. The capital is Port Vila on Efate island. Adventure-seekers typically have this nation wedged between Australia and Southeast Asia on their must-see list. Covering 182,700 square miles (the eastern half of New Guinea Island and 600 other islands) and home to 5.5 million people (who speak 800 languages - although English is official), it is a prime spot for bird watching and expedition trekking. The capital is Port Moresby. This northernmost sub-region is comprised of thousands of small (hence the term micro) islands. Best known is the U.S. territory of Guam, but other isles such as Palau and Yap have hidden pleasures (such as incredible dive sites) and eccentric oddities (such as giant stones used as currency). This 212-square-mile island (Micronesia's largest with 175,000 people) may be a U.S. territory, but its unique Chamorro culture and language is a blend of 300 years of Spanish, Micronesian, Asian and western influences. As Continental Airlines' South Pacific hub, Guam has excellent airlift and is the region's melting pot. Well-known to divers, who claim its waters are some of the planet's best, this 190-square-mile republic (made up of 340 islands, nine of them inhabited) was featured a few years ago on "Survivor." Independent since 1994 and home to 20,000 sociable people (two-thirds of whom live in and around the capital Koror), Palau also offers stunning forests, waterfalls, and amazing beaches. One of four Federated States of Micronesia, Yap is steeped in ancient traditions - most notably its stone money discs and its raucous dancing. Its 11,200 people are shy but welcoming and its diving is excellent (giant manta rays are abundant).